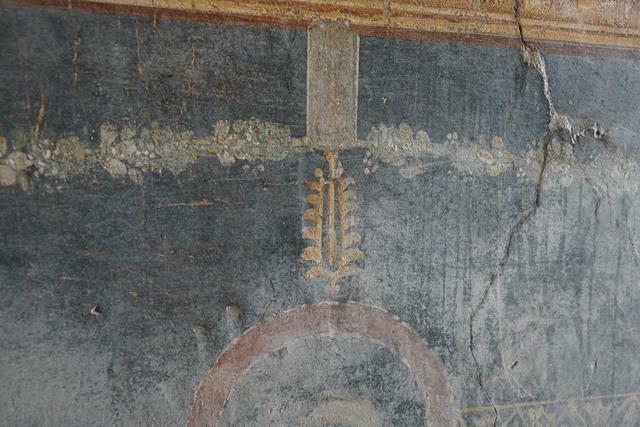 AD 79: “My uncle was stationed at Misenum, in active command of the fleet. On 24 August*, in the early afternoon, my mother drew his attention to a cloud of unusual size and appearance. He had been out in the sun, had taken a cold bath, and lunched while lying down, and was then working at his books. He called for his shoes and climbed up to a place which would give him the best view of the phenomenon. It was not clear at that distance from which mountain the cloud was rising (it was afterwards known to be Vesuvius); its general appearance can best be expressed as being like an umbrella pine, for it rose to a great height on a sort of trunk and then split off into branches, I imagine because it was thrust upwards by the first blast and then left unsupported as the pressure subsided, or else it was borne down by its own weight so that it spread out and gradually dispersed. In places it looked white, elsewhere blotched and dirty, according to the amount of soil and ashes it carried with it.” – Pliny the Younger. *Some historians believe that the date of the eruption was actually 24 October, not 24 August. 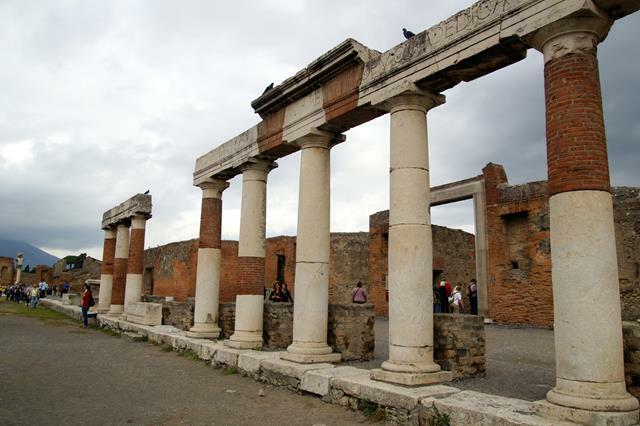 Vesuvius and Pompeii are inextricably linked by that fateful day in AD 79, when Mount Vesuvius famously erupted and buried Pompeii and other surrounding towns like Hercunaleum under a layer of ash, where they remained incredibly preserved until their discovery in the 18th century. This affords us a peek into life as it was then – a moment in time, frozen forever. 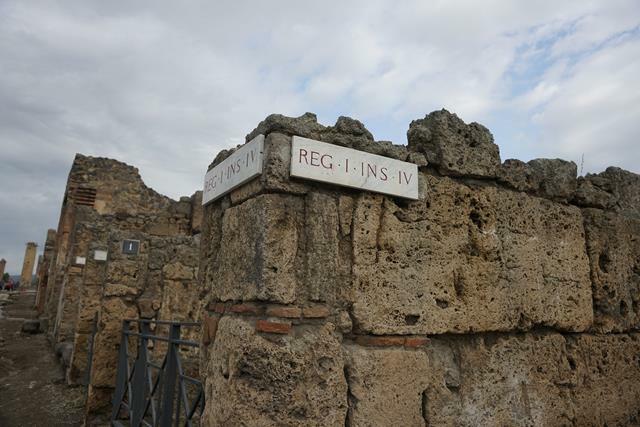 Last October, Ian and I went to London for our friends’ wedding, and took a short trip thereafter to Naples and the surrounding area (including Pompeii) with the newlyweds. 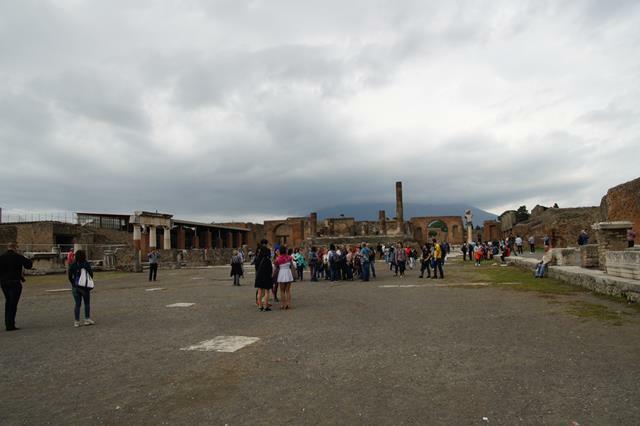 Although the tragic story of Pompeii and its ashy fate had always intrigued me, I was ambivalent about going – did you know that Vesuvius is still considered an active volcano? – but it was well worth it. 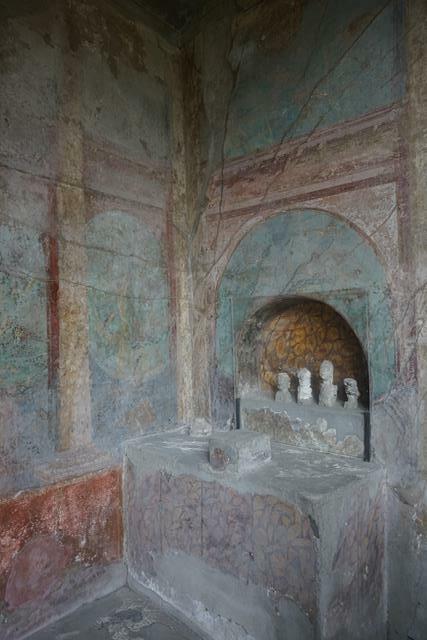 If you, like me, have a passing interest in ancient history – then this will be unforgettable. Even more so if you’re an archeology or history buff! 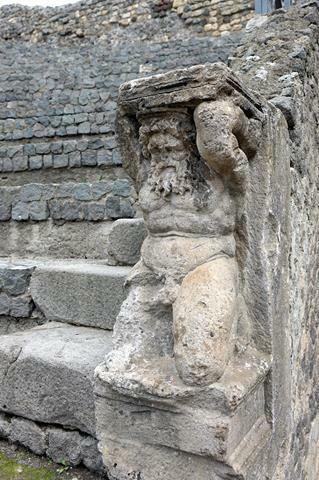 You can spend days in Pompeii exploring – it’s that big, but we only had time for a half-day tour of the highlights. 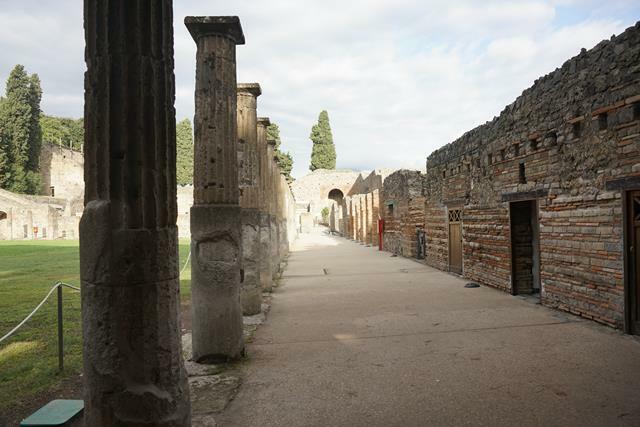 A word to the wise: go early in the morning if you can – when we reached Pompeii, there were very few people around, but there were considerably more tourists by the time we left for lunch. 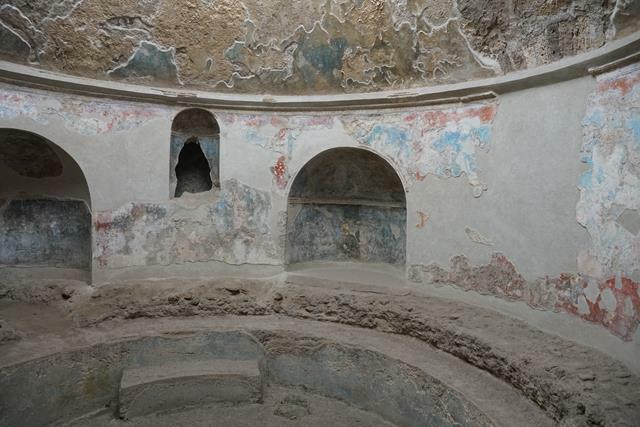 If you stay in Naples, you can take the circumvesuviana train to Pompeii. 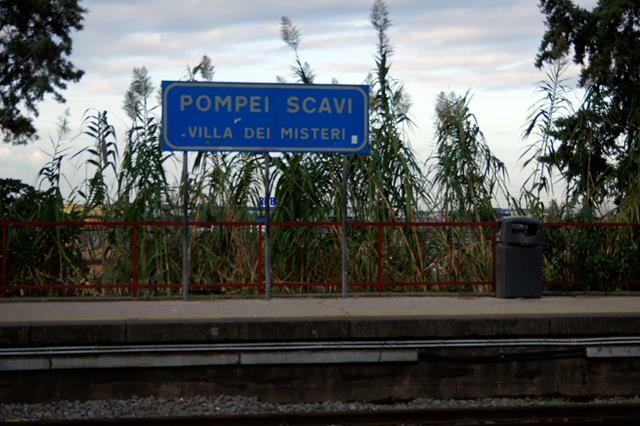 You should get off at this stop – Pompei Scavi/Villa. 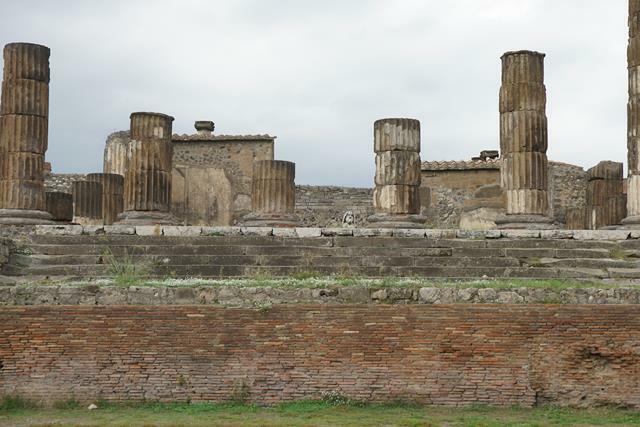 We got confused when buying tickets as there’s more than one stop called Pompei! The journey takes about half an hour. We met our tour guide at the train station. He was a very knowledgeable guy named Fabio who speaks at least three languages fluently (that I can recall)! Which brings me to the question – which is better, a tour or an independent visit? 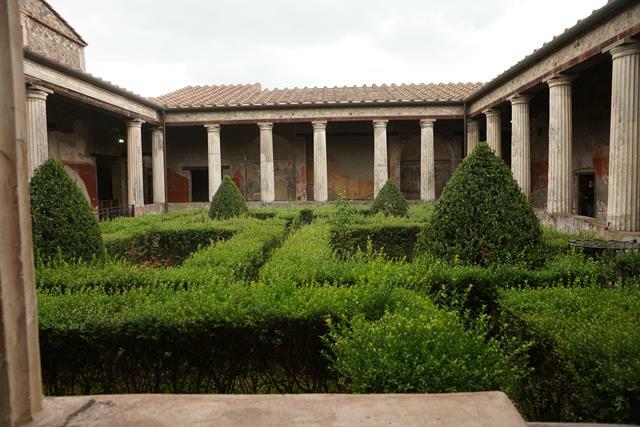 You can, of course, buy a guidebook and do a self-guided tour around the ruins, but if you are keen on learning as much as you can and have limited time, I would recommend hiring a tour guide if your budget allows. Our private tour (consisting of our guide for the whole day, transport back to Naples, Pompeii entrance fees and lunch on the foothills of Vesuvius) cost around 100 euros per person for the 4 of us. 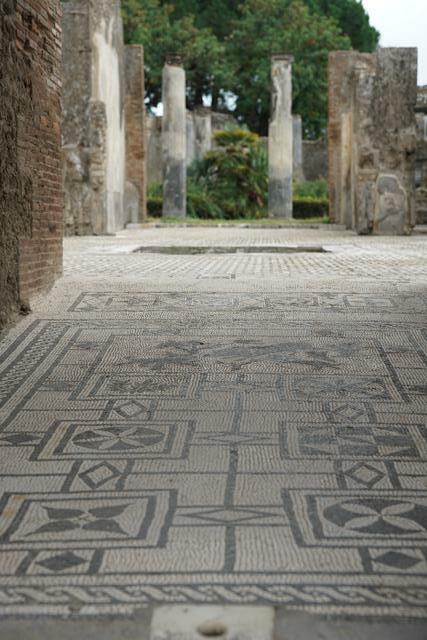 You can almost picture the ancient Romans walking around this courtyard. 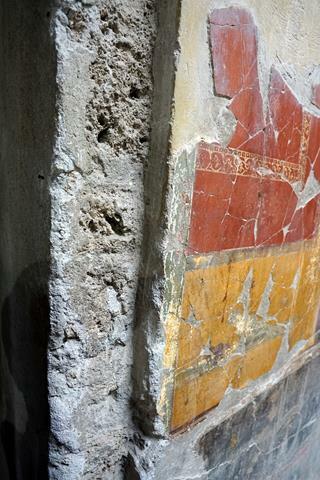 Some of the red plaster on the pillars can still be seen today, almost 2000 years later. 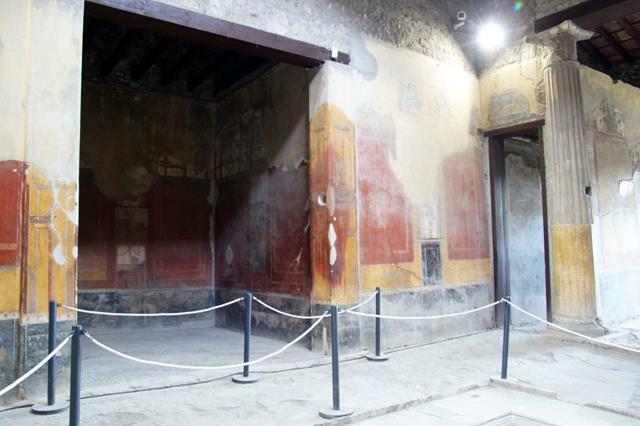 The walls reflect the passage of time and the change in materials used for construction. 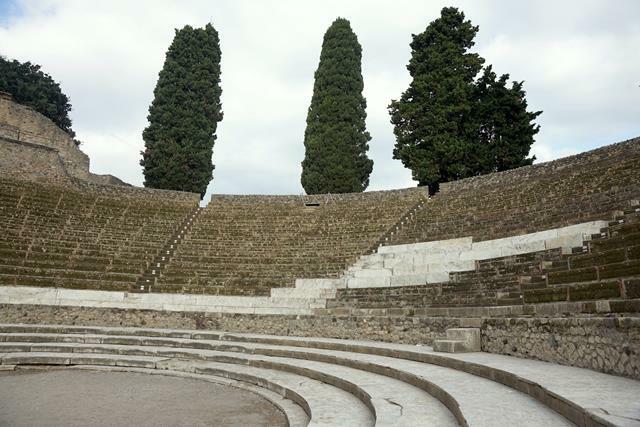 This is the larger of two amphitheatres where they would watch plays etc. 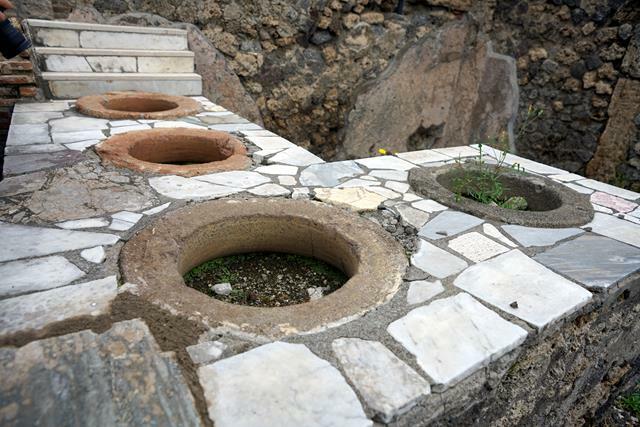 These nondescript holes were where food sellers used to keep food. 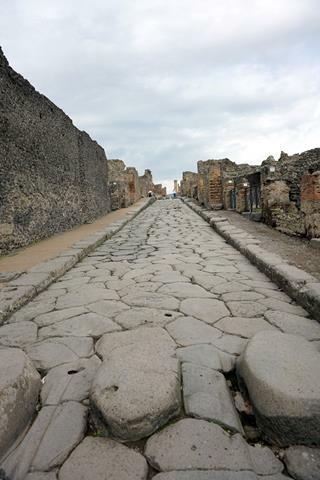 Sewage would flow down this street and the stepping stones were for people to cross the road without stepping in it! 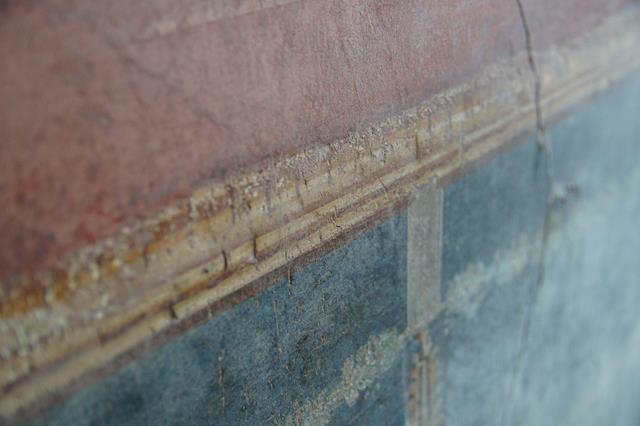 You can see how thick the plaster was and how intricate the paintings were. 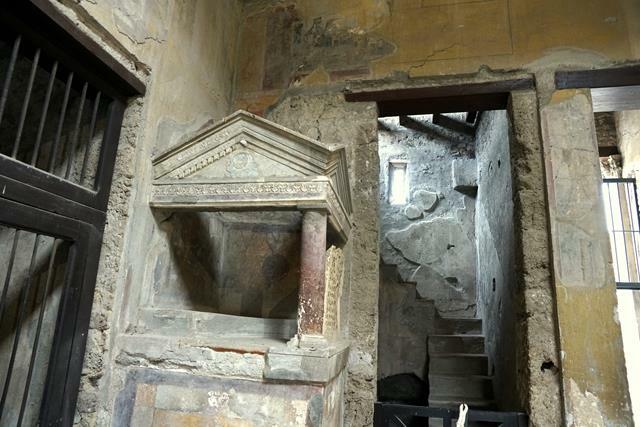 Small altar near the entrance, with steps to a room upstairs. 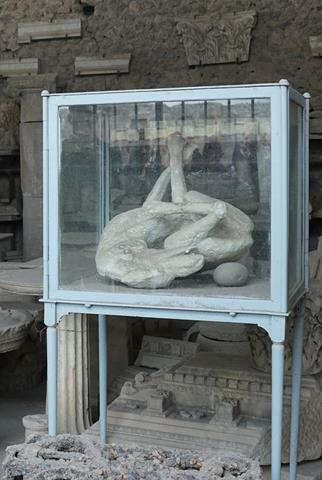 Those skeletons inside are not from AD 79: they were a couple of graverobbers who broke in here (in relatively recent times) and fell to their deaths. 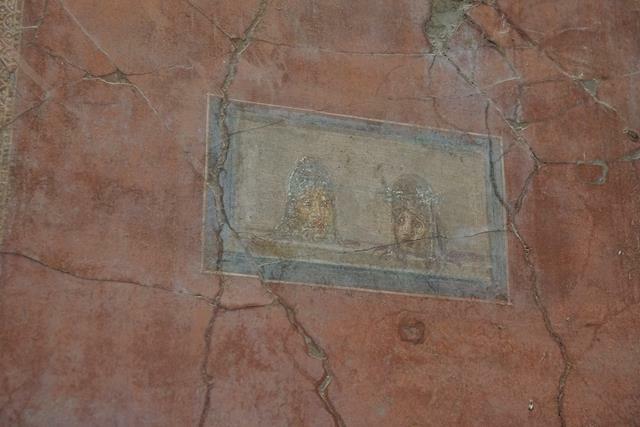 No pictures, because I’m not sure who might come across this, but it seems to be a highlight of every tour to Pompeii. 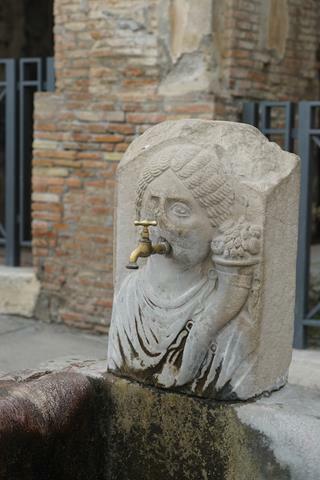 Some things haven’t changed much in 2000 years! 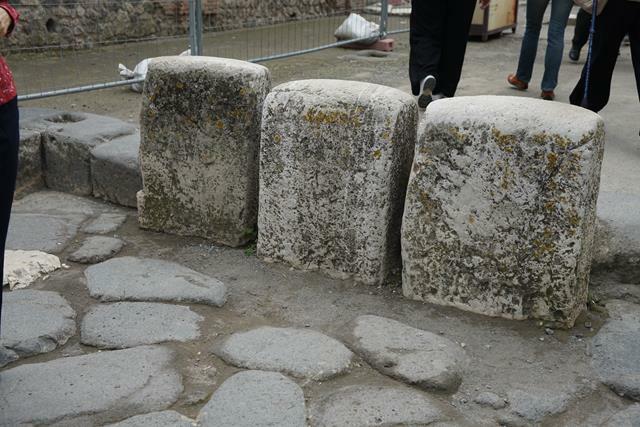 Those 3 tall stones were the ancient equivalent of a dead end sign. No horses allowed past this point! You can see Vesuvius in the background, partially covered by the clouds. 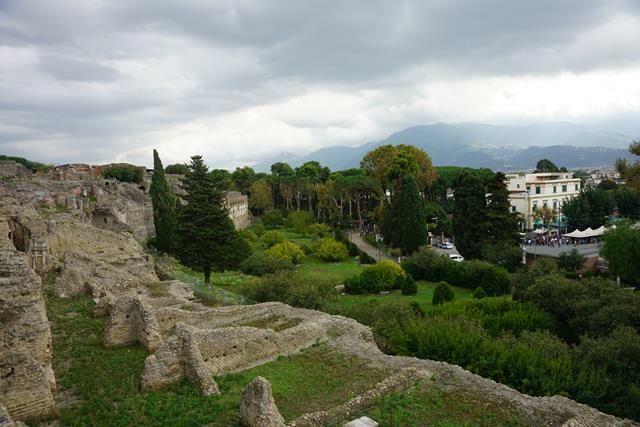 Our guide said this is how it would have looked to the Pompeiians – just a flat summit. They didn’t realise it was a volcano until it erupted. Bonus points if you can spot the head of Jupiter! 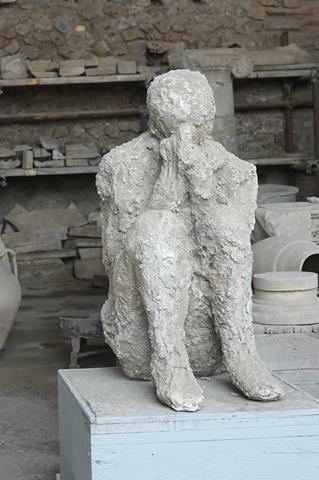 Research indicates that the inhabitants of Pompeii were killed by pyroclastic flow (a mix of hot poisonous gas and rock) before they were buried under the ash. It’s heartbreaking to see the bodies: the man, discovered in a face-down position covering his mouth, as if he were having difficulty breathing; the dog, chained up and convulsed; and the child, perhaps killed in its sleep. 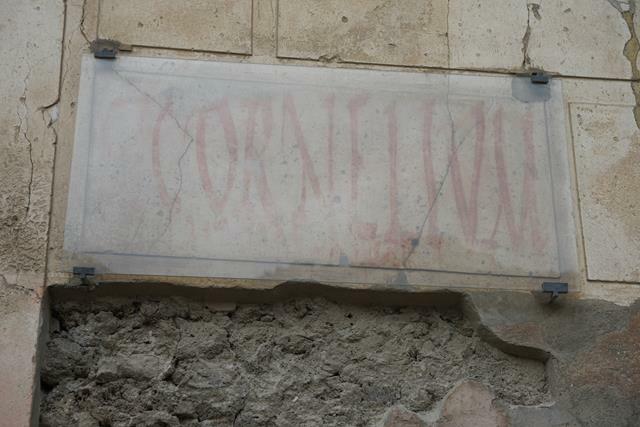 The oldest known basilica in the Roman world. Later, churches were built based on this structure. We would have liked to stay longer but eventually, with no small amount of reluctance, we had to step out of the past and back into the present. 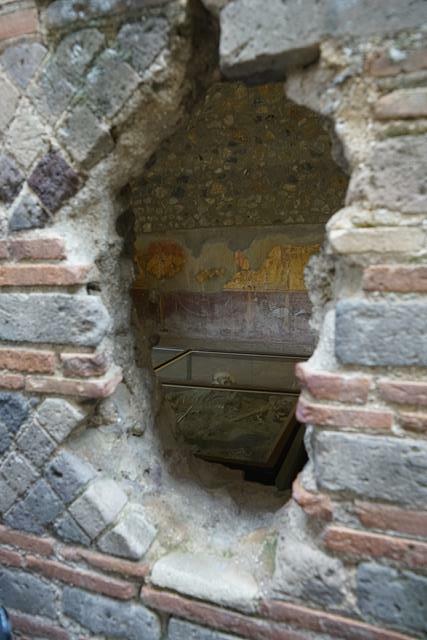 We saw so much more that I couldn’t fit into this post, yet I feel that we only scratched the surface of Pompeii. 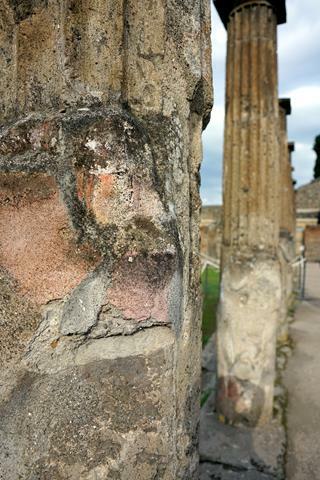 Have you been to Pompeii or anywhere else from the ancient world? What was your favourite part? Let me know about it in the comments! 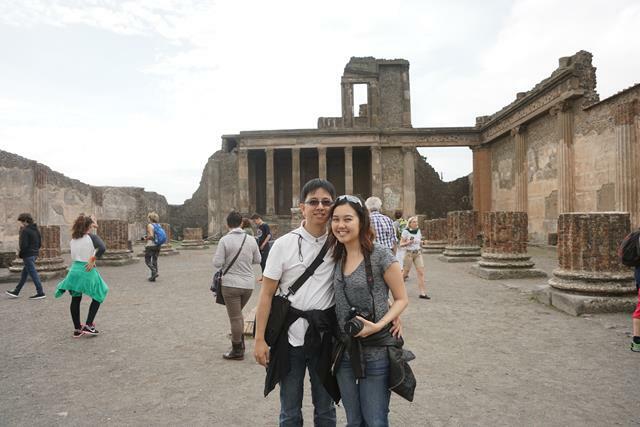 Visited Pompeii last yea,r but unfortunately it was in July and it was HOT and very crowded. Your visit seem to have been a much more civilised visit – excuse the pun :-o) due to small crowds. Oh yeah I didn’t realise that we went during the off peak season! it was rainy but the temperature was quite comfortable. Yup the crowds and weather can make a huge difference to the same place. Hope you enjoyed your trip to Pompeii though!! Incredible photos! My boyfriend went over 20 years ago- he said it has changed so much from when he was there. I’m sure with more tourists there is more off limits now. I’d love to go! Wow that’s so cool! In what ways has it changed? I’m sure there are a whole lot more tourists now (especially given that I went in October – not exactly peak season for tourists), but I’ve also been told that they’re still excavating and making more finds even to this day! Yes he said that most of it was not excavated. He saw a person blown into a wall- was that there still? 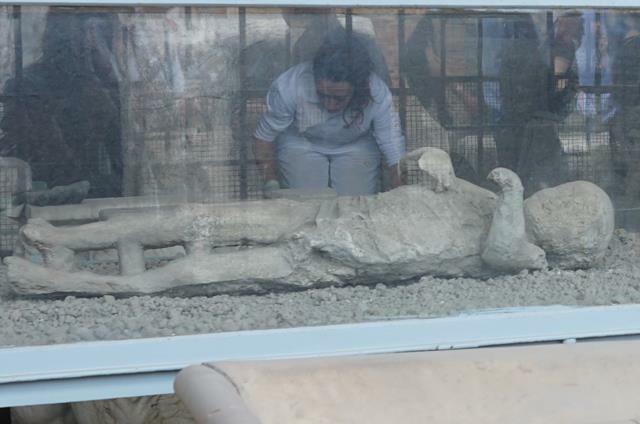 Amazing they are still excavating! I didn’t see that, but we only covered a very small portion of the entire city. We only saw those 3 bodies – the rest are kept somewhere that we didn’t have time to visit. Yes, it’s really an archeological gold mine! A lot of the early discoveries were damaged because the people who first discovered it back in the 18th century didn’t use proper techniques so now I think they’re being very careful. 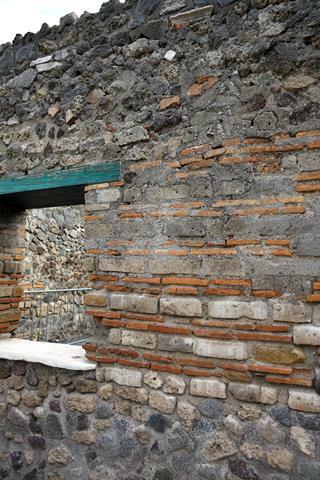 I had a fascination with Pompeii since I first heard about it in school. The idea of people perishing under such terrible circumstances horrified me. About 15 years ago I went to see the site of the former city and I was even more impressed than with the stories from my history book. Seeing that place in real life was in a way a dream come true, but on the other hand very sad. 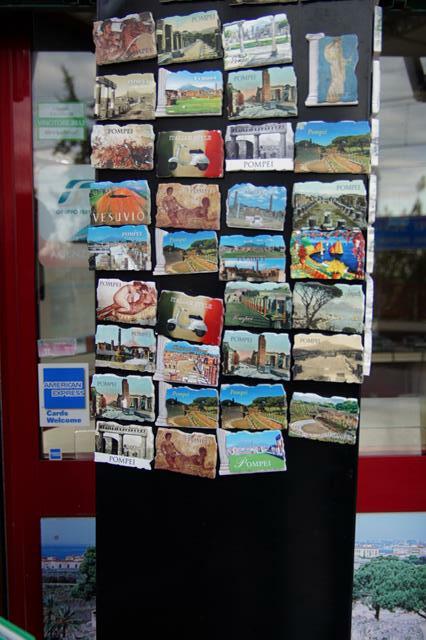 Very beautiful pictures! I don’t have any digital photos from that trip. Thank you! Yes, it’s a really tragic story indeed. All those people who had no idea they were living near a volcano until that fatal eruption. It’s even sadder because there had been an earthquake a few years before, and those who had stayed were in the middle of rebuilding their lives and homes. Thanks for stopping by Ahila! Agreed, I think however you experience it (depending on your particular needs) it should be spectacular. 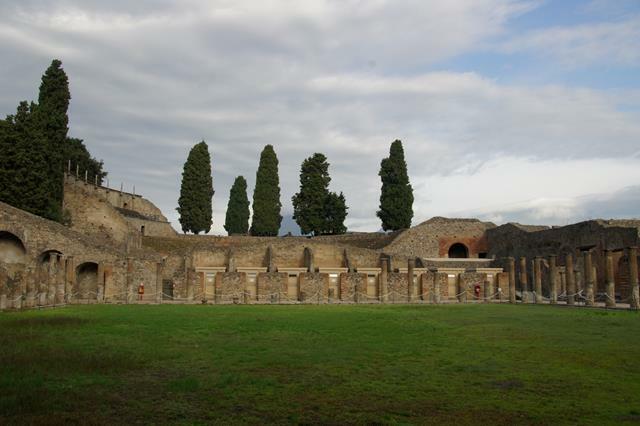 I think you really hit the nail on the head about the two sides of Pompeii- such a tragic tale, and such a spectacularly preserved city.